If your bank card or credit card is lost, stolen or captured by a bank machine while you are abroad, contact your bank’s blocking service immediately. In this situation, you should request an international money transfer or a deposit to your own bank account from a friend or relative. Alternatively, funds can be transferred from your bank account to the Foreign Ministry’s account. Only in exceptional cases can a Finnish mission consider providing assistance for a journey home against a written agreement that the sum will be repaid. It is usually possible to withdraw foreign currency using your bank or credit card if someone transfers money to your Finnish bank account. The recipient of a money transfer must be able to prove their identity using an official ID (such as a passport) when collecting the money. 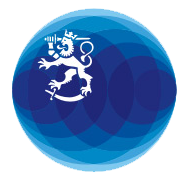 If you are in distress and require funds for your trip back to Finland but are unable to receive funds using the above-mentioned means, a Finnish mission abroad can, in special cases, assist in transferring funds from your account (+ transfer fee of EUR 40) to the Foreign Ministry’s account. You can also designate another person to deposit the funds. The mission can only complete the transfer once the funds have been received. If a person who is temporarily abroad is in distress due to a crime, a severe illness or another similar reason and it is therefore impossible to arrange the deposit, the mission can, in exceptional cases, consider providing assistance for the journey home using the most affordable means of travel against a written agreement that the sum will be repaid. Please note that the repayment of such assistance is subject to debt enforcement procedures without the need for any separate decision.